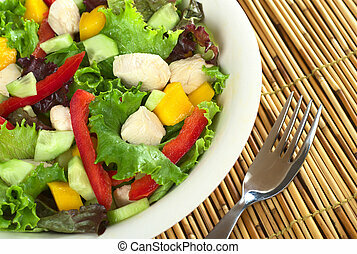 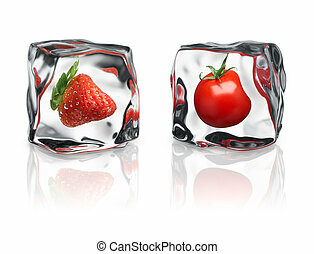 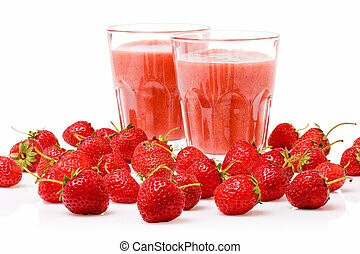 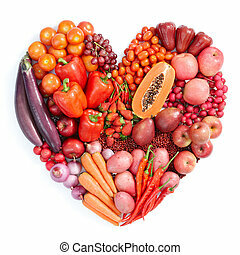 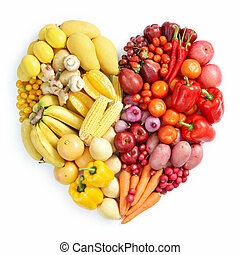 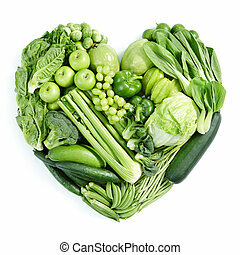 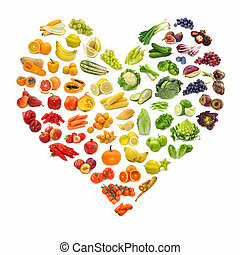 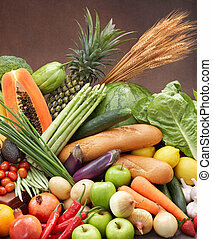 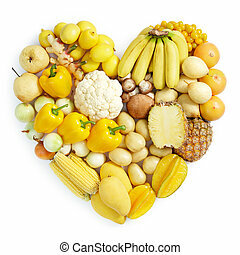 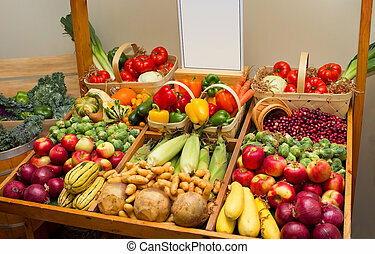 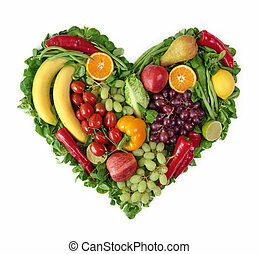 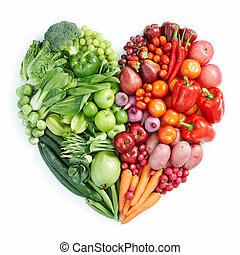 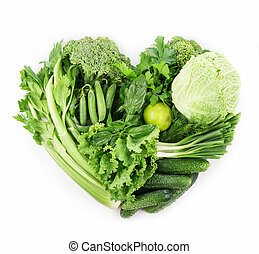 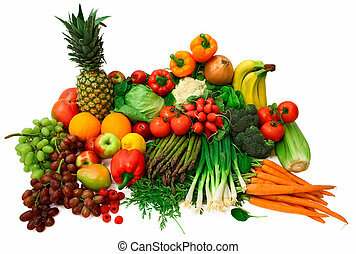 Fresh vegetables and fruits. 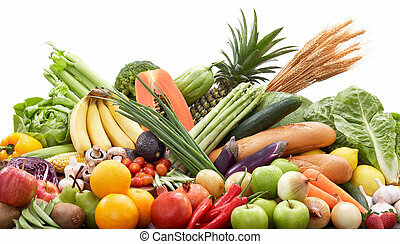 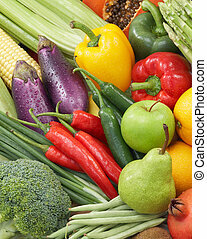 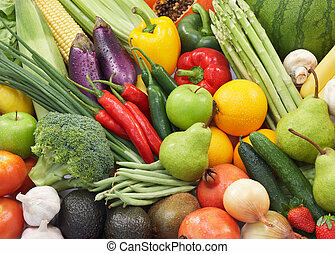 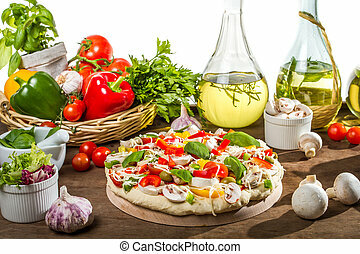 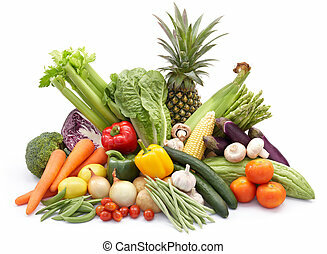 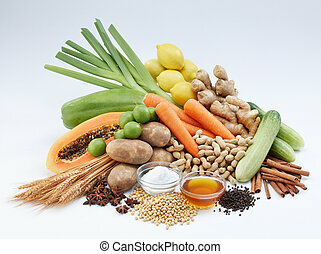 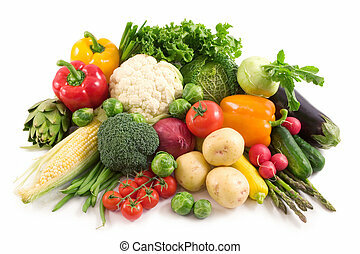 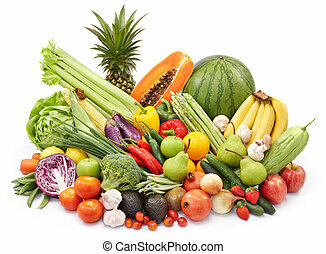 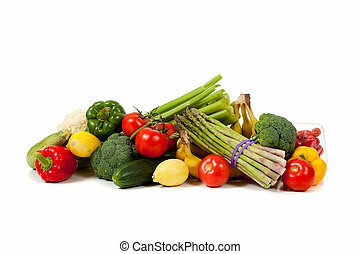 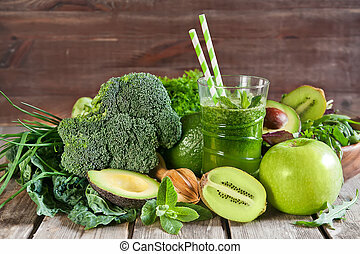 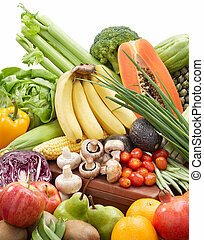 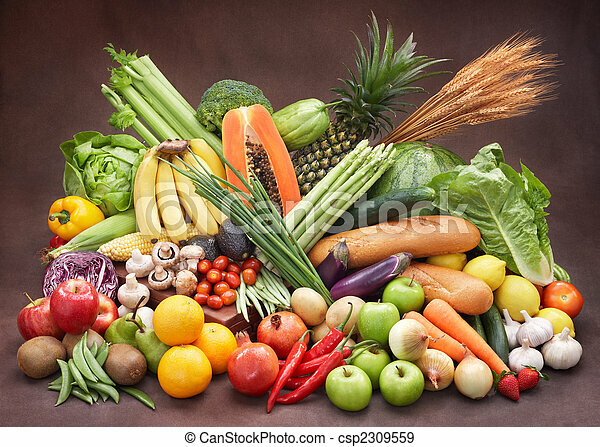 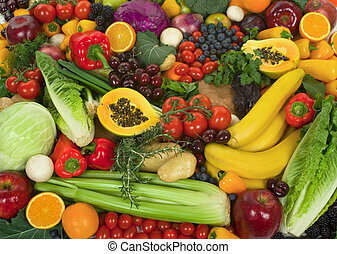 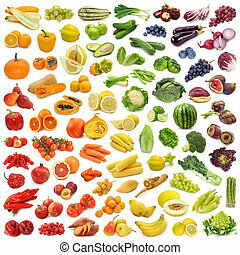 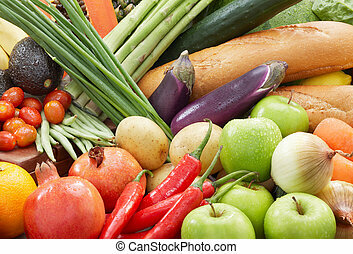 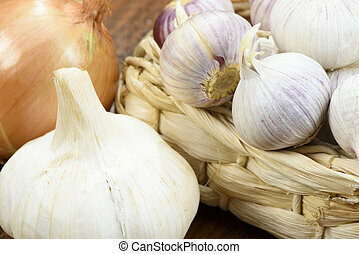 Group of vegetables and fruits on brown background. 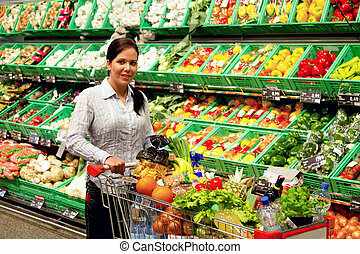 Young woman in the supermarket to buy food and fruit one.